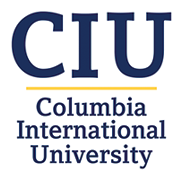 CIU is hosting their annual Cross Country Camp July 24-27 for upcoming 7th-12th graders. This camp is a great way to meet local runners and learn how to improve as a runner from CIU’s staff as well as elite athletes. The camp will feature daily devotional time between campers and counselors, fun activities throughout the day, daily training sessions and some amazing sessions ranging from being on Skype with Olympic Gold Medalists, hearing from local runners on how to be a Christian athlete, and how to improve as a runner. The cost is $250 for individuals, $200 if you come with a team of 5 or more, $100 for a coach, $50 for a coach bringing 5 or more athletes. For coaches we offer daily coaching sessions working through all the in’s and out’s of coaching beginners to elite athletes. Visit the CIU’s camp page here http://www.ciuathletics.com/sports/2017/3/30/camps.aspx or email Coach Jud Brooker at Judson.brooker@ciu.edu.